The benefits of neem oil are plenty. There are many toxins and germs that are killed with the application of neem oil. Neem oil when mixed with any other soothing oil relieves scalp itching, eczema, psoriasis and other such chronic skin and scalp conditions. Neem oil when mixed with a pinch or two of camphor and coconut oil brings relief to the scalp from lice and any infection. There are many diseases that can be counteracted with the help of neem oil. This oil prevents further spread of bacteria and problems relating to such skin infections. In the long run neem oil comes to many benefits to our lifestyle. 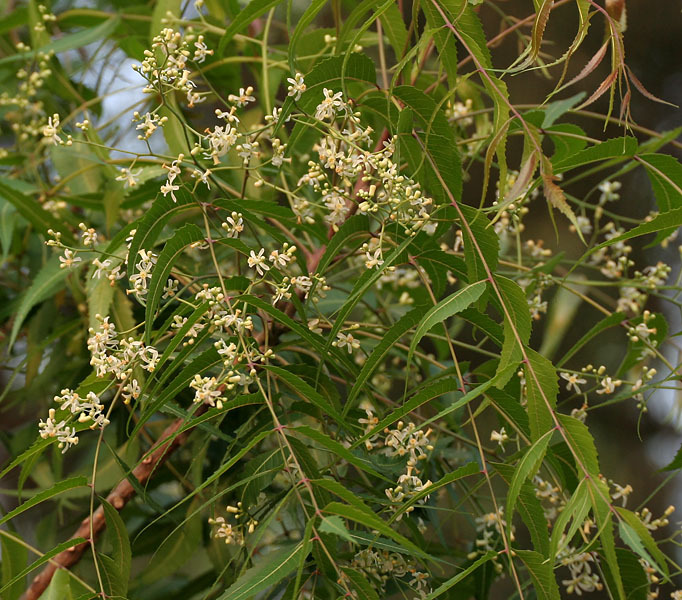 In tropical countries neem is a local tree whose leaves and bark can be used to incur the oil. It is very cheap but it must be of the highest quality to bring you the wonderful and wide range of benefits that you are looking for. Neem and clove oil when mixed into a non-oily moisturizer or aloevera gel, brings relieve to oily and pimple prone skin. It is anti bacterial and helps to stop the spread of infection anywhere. The oil is also used to relieve pets and animals of ticks and germs. It is a natural disinfectant and can be easily dropped in the bath water to bring a soothing and healing effect. People suffering from heat rashes in the tropical heat will obviously benefit a lot from neem oil in their bath. They can just also add dabs of the oil mixed with water as a natural body toner. This rejuvenates the skin and brings much relief. Neem oil is also used to stimulate the growth of plants and is considered to be a very effective manicure. Neem oil can kill any of the toxic and bacterial growth around a growing plant and so some amount of neem oil to be spread around the tree is rather effective to speed up its effective growth. There are also ways to prevent and cure diseases like chicken pox and measles with the use of neem oil. During such season neem oil must be used as a bath tonic to relieve itchiness and sores. When a person has come out with chicken pox neem oil can be used in bath oil which will work as a wonderful and speedy disinfectant. Neem oil and tea tree oil can also be used around the home to eliminate and drive away insects and ants. The use of such oils is rather useful in comparison to any unnatural toxic substances that bring about more harm to the environment. The natural aroma of neem is rather beneficial to bring about incredible changes to the environment. It drives off irritating flies, bugs and mosquitoes. One can even spread drops of them with other essential oils on the bed and pillow covers in order to drive away any bugs from one’s personal corners. This oil also helps preventing various kinds of skin rashes and bites. But the oil in its raw state should not be applied directly to the skin or scalp but always used mixed with a carrier oil or water. Neem oil, when mixed with young coconut water and cucumber water or some green tea, and stored in a bottle with some pinches of camphor, makes for a rather refreshing toner for oily skin.